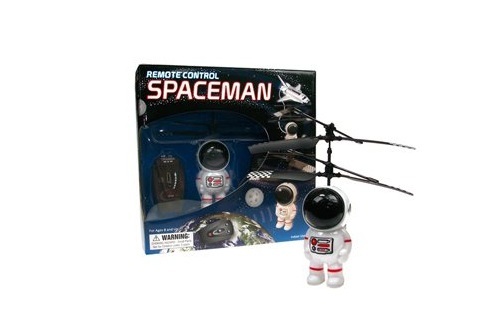 Enjoy this cool Remote Control spaceman, with twin rotor propulsion, bright diode lights, and ultralite micro components. Charger requires 8 "AA" size batteries (not included). Indoor use only. For ages 8 and up. Hover in place or move up and down.